Whoever Jar-Jar is (or are? ), this painting with an alien sort of siamese twins is really amazing! Very good and what a style! George Lucas had "left the building" and wound up in Toys-R-Us when he came up with this particular character. 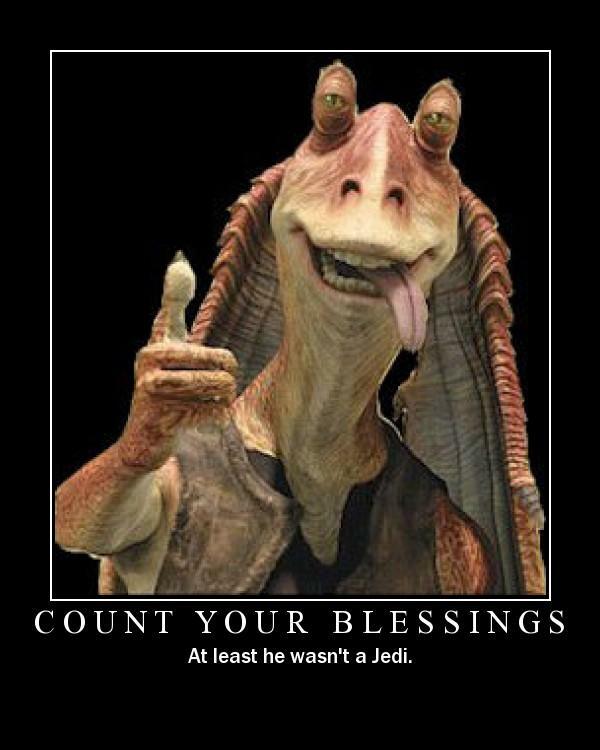 Jar Jar Binks' persona is like if Disney's Goofy and some calypso smoking tropical island drink had a love child. . .behind closed doors in the back row of a theater far far away. . . but never quite far enough. . . This painting is mercifully abstract. But it did Help me with Layer's but I'm at loss at how you Split his or her Head??? I used the selection tool in the freehand mode to draw the outline of the section I wanted to move. I then used the transform tool which allowed me to grab the section and rotate it.